Jugaad is the creative platform for the young adults and alumni of Karm Marg. Most of its key staff members are alumni of Karm Marg. They look after the designing, production, stock taking and marketing of the brand. 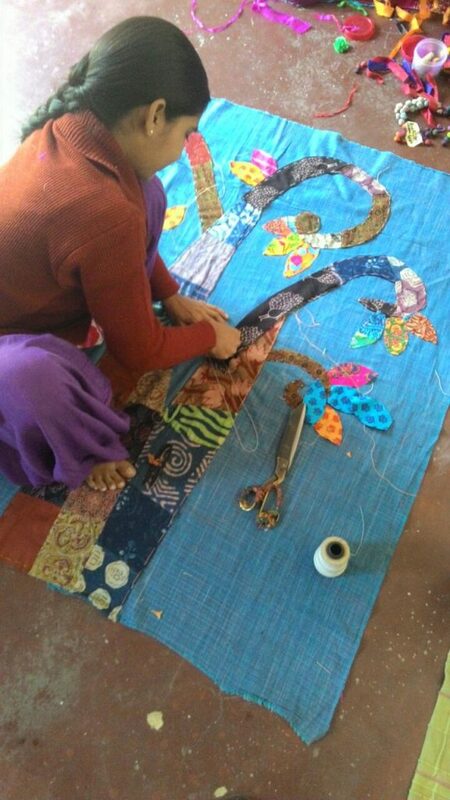 Over the years, as the production capacity of Jugaad has grown, a number of local village women have also been trained and employed here. More than 200 village women have been trained so far in Jugaad, of which 70 are presently employed. All in all, Jugaad offers the children of Karm Marg a unique opportunity to learn vocational skills within the security of their own home. It is no wonder, then, that so many Karm Marg alumni have branched out with their own creative businesses!